So you want to be a baller. Floor seats to a Laker game at the Staples Center is one way to do it, but to accompany your night spent courtside, you may want to supplement it with a thick cut of steak from Fleming's Prime Steakhouse. 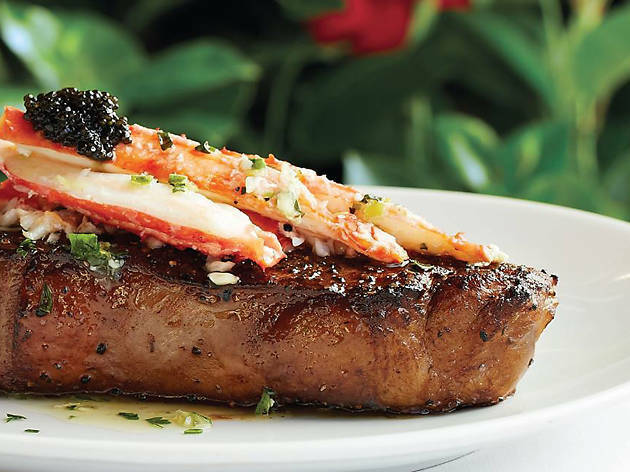 There's plenty of meaty options to choose from here—ribeye, New York strip, filet mignon—along with truffle lobster, lump crabmeat and a prime rib dinner. The steakhouse also operates as a wine bar, so you can end the night with a glass (or bottle—we're not judging) of one of Prime's 100+ wines. A classic steakhouse that serves great food and ambiance! You can't go wrong here especially if you want something a little nicer. 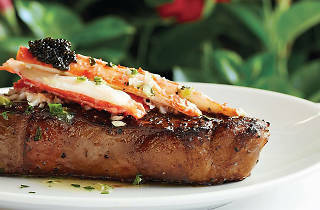 They have a great menu of various steaks as well as some seafood options if you're into that. I love their wine selection as they have a bit of everything. Certainly a place to impress for a romantic dinner date so keep that in mind. It's located right in LA Live, so it can get a bit hectic here when it comes to the parking.